Duncan was among the student performers on opening night in 1997. His career has since taken him around the world, with performances at the Met, Carnegie Hall, and with the Toronto Symphony Orchestra. "The Chan Centre feels like home to me, I think I have performed on that stage 17 or 18 of the 20 years of the Chan's existence. I remember singing in the choir during the opening concert under James Fankhauser and being in awe of that amazing acoustic. "I remember walking across that stage to receive my bachelor of music degree and I remember that one of my first professional jobs as a singer with Early Music Vancouver was in the Chan and that became an almost annual occurrence. I can't believe it's been 20 years." One of Canada's most distinguished artists, Professor Emerita Jane Coop performed Mozart's Concerto in E-flat for two pianos alongside Dr. Robert Silverman at the inaugural Chan Centre concert. "Performing in the opening concert of the Chan Centre was thrilling. In the days up to the event we at the SoM were all of a twitter, wondering if the place were even going to be habitable by the deadline; for example as I recall the audience seats were not even installed the day before! It was so exciting to walk onto the brand new stage and to look up at those strings in the ceiling and the acoustic cloud hanging there above everything. "During the rehearsal the hall technicians were busy adjusting and maneuvering the acoustic variables, and finally had things set. From the musicians' perspective (particularly the piano soloists, myself and Robert Silverman) the sound was clear and immediate, and we were very happy. It was a fabulous evening, and we were all so honoured and proud to introduce a major new hall to Vancouver!" Percussionist Julia Chien is an M.Mus. student at the School of Music. She will perform the timpani solo in Chatman's A Song of Joys on April 8. "The Chan has brought forth extraordinary opportunities, whether it is with UBC Ensembles, or NYO Canada and the Vancouver Symphony Orchestra, it has become a space that to me, is both frightening and rewarding. "As I continue to explore my craft, there are countless times where I am challenged beyond the limits of what I think I am capable of. A meaningful musical experience for me becomes anytime I am able to surpass that threshold, and many times, the Chan has been the space in which I have achieved it. "It is the utmost privilege as a music student at UBC to be able to rehearse in the performance space that is the Chan Centre." Professor Emeritus James Fankhauser directed the UBC University Singers for many years, during which time the group won a number of international competitions. He conducted part ofthe inaugural concert. "I had the pleasure of conducting many choral concerts in the wonderful acoustics of the Chan Centre ending my career with a sold out performance of Bach’s glorious B minor Mass. I appreciate that I was able to give acoustical input to the committee which resulted in the great acoustics we have today. "A few years later I was in the Chan as audience enjoying an outstanding performance of Monteverdi Vespers, with some of my former students as soloists. We owe much gratitude to those who made the Chan a reality. Generations of students will savour that blessing." 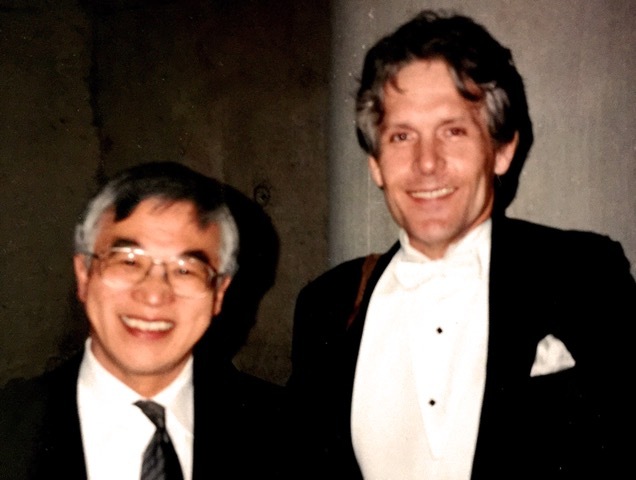 Professor Emeritus Jesse Read (right, with Chan Centre architect Bing Thom) conducted the UBC Symphony Orchestra during the inaugural concert. 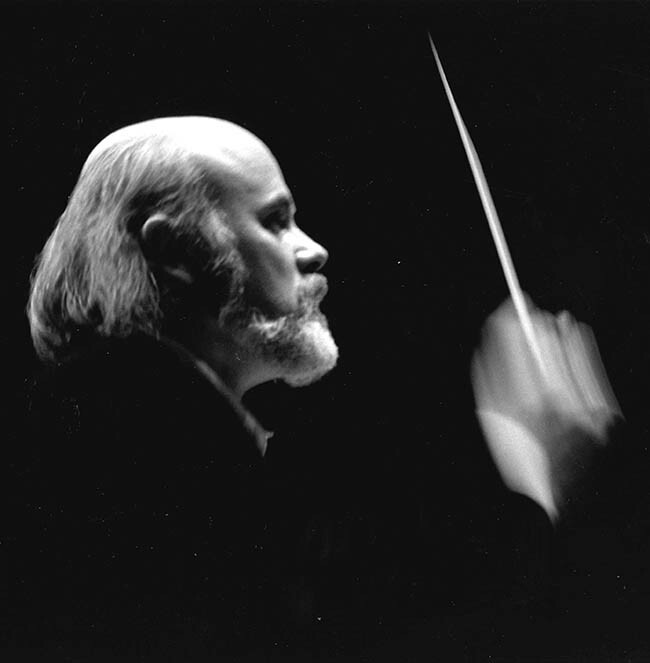 He was Orchestra director from 1990 to 2008 and also served as director of the School of Music (1996–2007). "I have some good memories of the Chan, the meetings with the late Bing Thom... I found out that he played the clarinet, but always wanted to be a conductor. I knew that we should play "O Canada" at the opening, and I invited him to conduct it — it would be the first official music performed at the Chan Centre. It was a big thrill for all of us to see him stride out and conduct the choirs, the orchestra and the audience." Professor Emeritus Robert Silverman is a renowned pianist and former director of the School of Music (1991–96). In addition to being involved in the planning and design of the Chan Centre, Dr. Silverman performed Mozart's Concerto in E-flat for two pianos alongside Prof. Jane Coop at the inaugural concert on March 14, 1997. "One of the more enjoyable aspects of my position as Director of the School of Music (1991-96) was my involvement in the planning and construction of the spectacular Chan Centre, especially as it afforded me the opportunity to work with the late Bing Thom, architect of the project. "Bing was one of the most elegant men I have met. On several occasions he would ask pertinent questions about music performance as it might be affected by the hall’s acoustics, and actually listen to my opinions. The most significant of my contributions to this dialogue was the suggestion that Artec Consultants be employed as the acousticians. "The Steinway piano was unanimously chosen in New York City by a committee consisting of Jon Kimura Parker, New York duo-pianist Richard Contiguglia, and myself."